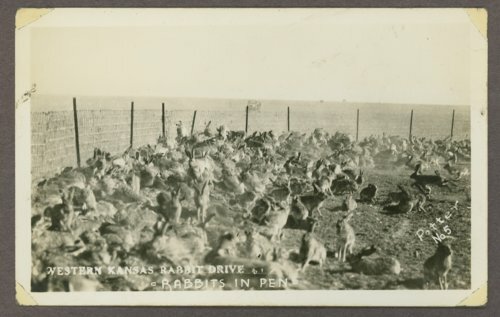 This is a postcard showing rabbits in a pen in Western Kansas. During this period of drought, Jack rabbits ate what little vegetation was growing. To reduce the rabbit population, they were rounded up in a pen.